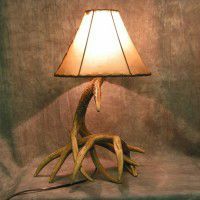 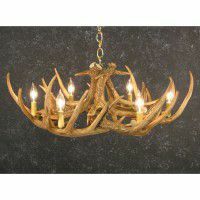 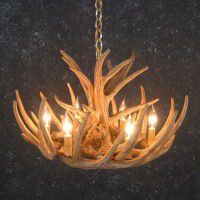 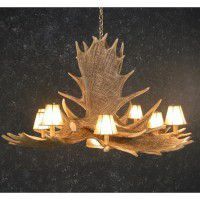 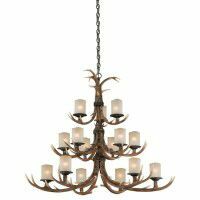 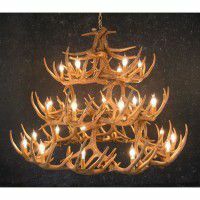 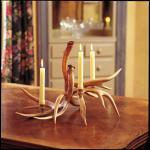 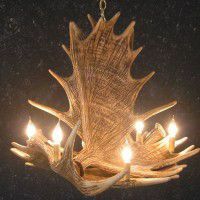 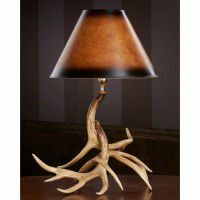 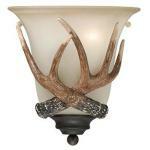 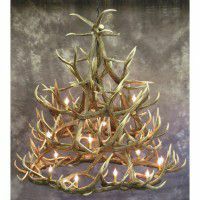 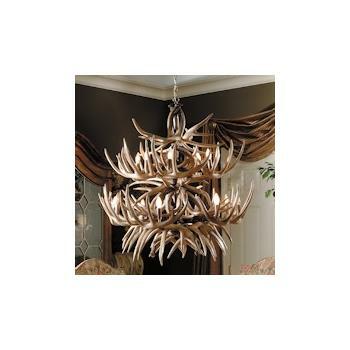 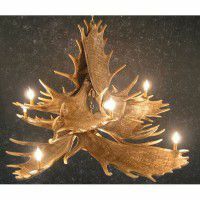 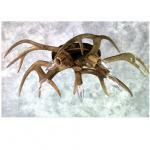 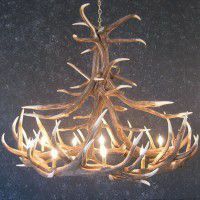 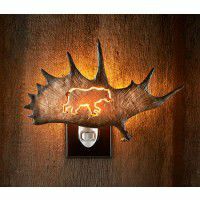 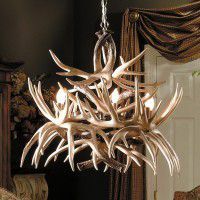 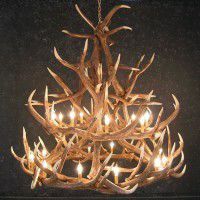 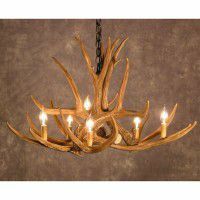 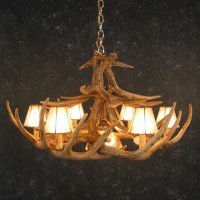 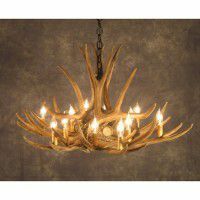 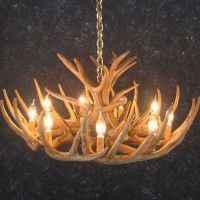 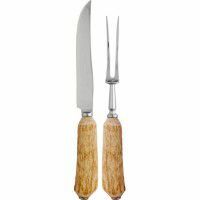 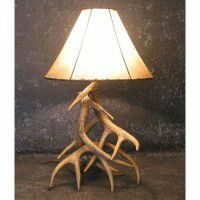 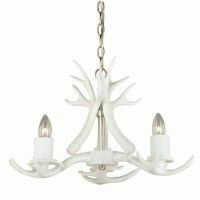 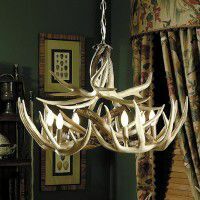 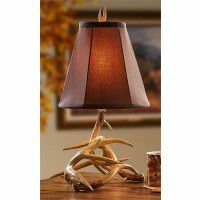 At The Cabin Shop you will find a large selection of high quality natural antler lighting all UL approved. 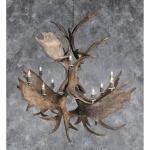 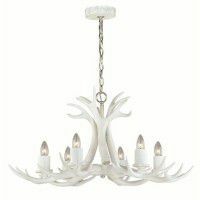 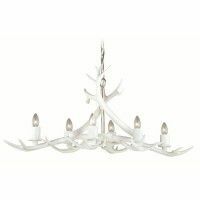 Choose from antler chandeliers, sconces, table lamps and floor lamps. 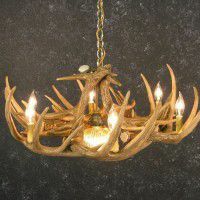 Our antler light fixtures are available in elk, mule deer, whitetail deer and moose antler or antler mixed with wrought iron giving it a very unique look. 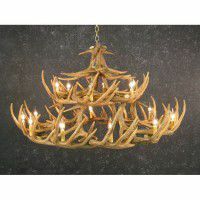 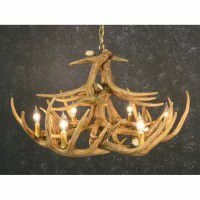 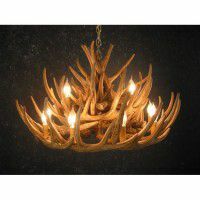 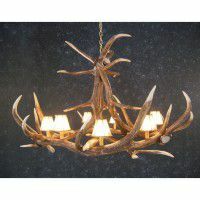 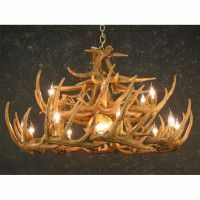 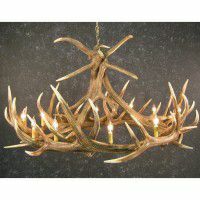 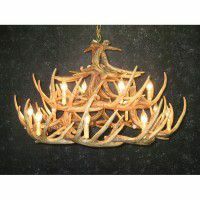 One of these beautiful antler chandeliers can make a real statement in your rustic home decor Our antler furniture collection offers antler sofa tables, moose, elk or whitetail antler based coffee tables, antler shelving units and bar stools and to add just a touch of antler to your cabin decor, our antler accessories offer many unusual rustic decorating ideas. 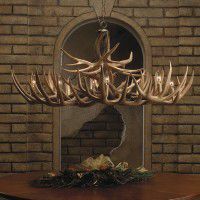 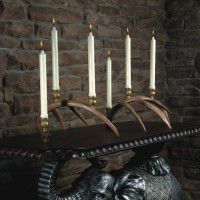 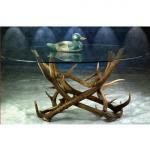 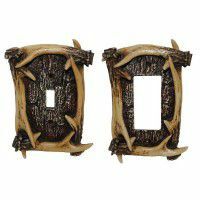 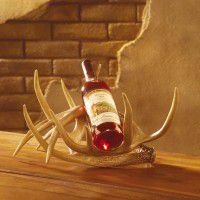 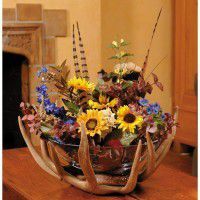 You can choose from antler wine racks, clocks, bookends, candle holders, antler mirrors and rustic antler picture frames. 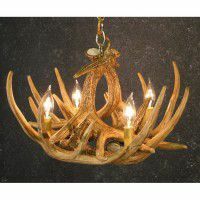 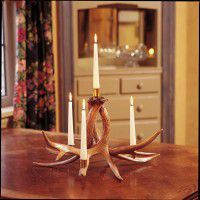 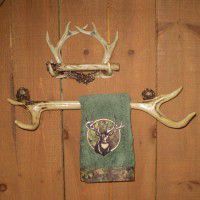 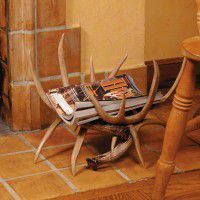 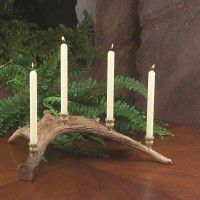 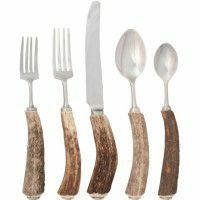 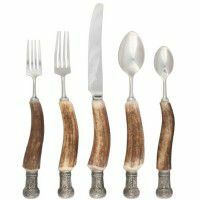 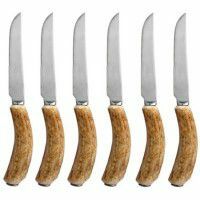 Antler decor is the perfect rustic accent to complete your log home or cabin.